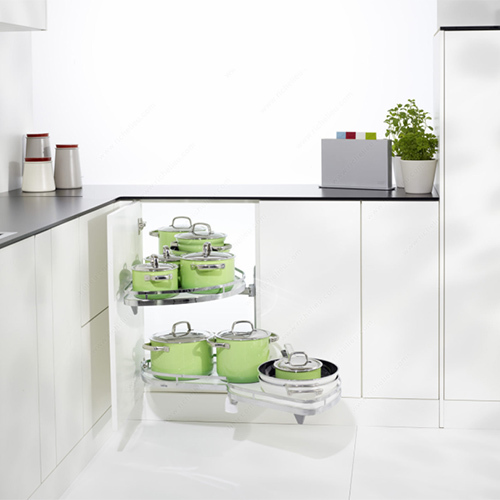 Pivoting tray system for corner cabinet. Set includes the pole, 2 trays, hardware, and mounting instructions. Complete package, includes hardware, poles, and two trays. Arena baskets offered in grey/chrome or maple/chrome finish featuring non-slip Melamine CARB-certified surface. Trays extend with a door opening to 85 degrees avoiding collision with adjacent cabinets and electronics.